Grab candy at Target this week using the new candy coupons! 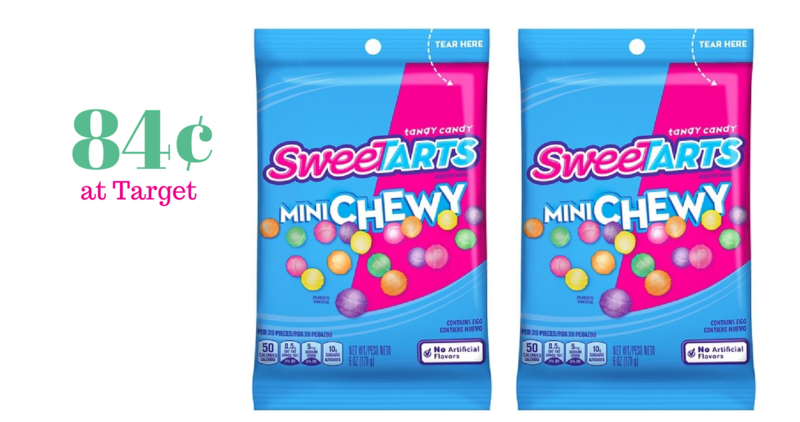 You can pick up SweeTarts Mini Chewy candy bags for only 84¢! If you’re stocking up on candy for Easter baskets, you don’t want to miss printing these coupons.